Just as sweet, tart and buttery as you remember it. A velvety curd made from yolks of the freshest eggs, real sugar, and hand-squeezed lemon juice is layered into the bottom of a crispy, buttery crust, topped with a light cloud of fresh meringue and lightly caramelized to create a luscious bite of heaven. Go ahead, have another piece…. 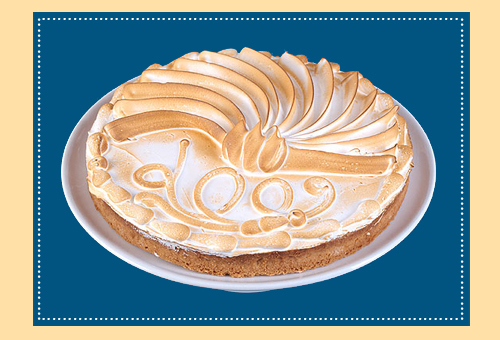 Today through June 28, you can get a special deal on our Lemon Meringue Tart. Simply mention that you read about it here, and we’ll give you 20% off our 9″ Lemon Meringue Tart (regularly $26 – serves 8-10), or buy four mini Lemon Meringue Tarts and get one free.